Gu Xijiu lowered her head and tried to restructure her phrases, "There are a few suspicious details which I don't understand. Firstly, according to the students from the Liuyun cla.s.s who were trapped in the illusion, Teacher Zi liked to molest students, and he was perverted. 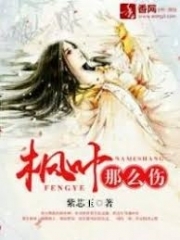 Although Hu Qingqing's Kung Fu was good, her appearance was… relatively normal. Based on Teacher Zi's preferences, she was not really his cup of tea, so how did she manage to seduce him? Unless Teacher Zi had unique tastes, this would be unlikely. Secondly, Hu Qingqing did indeed argue with me and couldn't wait to kick me out. However, she wouldn't trade her body for such a small goal. Of course, I don't really know Hu Qingqing, and I'm not familiar with her usual att.i.tude, hence, let's put the second point aside now…"
"Thirdly, after Teacher Zi said ‘You're here…,' He immediately burnt himself. The ‘you' he referred to should be someone he trusted but who is the person he was referring to? Is he or she relevant to the case? While that person is not necessarily the culprit, it was such a coincidence that he got burnt and died right after he mentioned that person. Is that really a coincidence or did someone insert something into his body to curse him? It seemed as though he would be burnt once he discloses any info about that person. I... I've heard about a type of worm spell which could be planted in the human heart. Someone can hear everything that happens around the host, and he can control the host's action. Once the host mentions anything about its master, the host would die, and even his soul would disappear… This might have happened to teacher Zi. It happened so fast. Even if he were cast with a worm spell, it would have disappeared while the body was burnt. Hence, there's no way to investigate…"
"You know quite a lot huh?" The Lord looked at her and acknowledged her thoughts. He slowly added, "I’ve heard about you knowing certain strange knowledge, and that you said you were a heavenly gifted disciple when the Emperor Xuan asked you. Hmmm, the truth is you’re not a disciple, and I’ve never taught you these things, so where did you learn these from?" Thus, she told him the truth and briefly introduced herself. Of course, she did not tell him about the complicated relationship she had with Long Xi, and she did not tell him about her being a clone. She only told him she was an a.s.sa.s.sin and died during a mission. She then came to this world and possessed Gu Xijiu’s body. She did not want to say too much, so she just briefly storied her past. However, The Lord was very smart, and he asked her a few questions. Every question he asked hit gave her no room to escape. For example, what kind of mission did she fail and why? 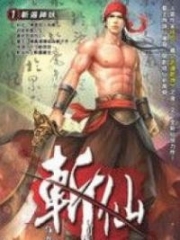 You're Read Venerated Venomous Consort Chapter 532 online at NovelOnlineFull.com. You can use the follow function to bookmark your favorite novel ( Only for registered users ). If you find any errors ( can't read,broken links, can't load photos, etc.. ), Please let us know so we can fix it as soon as possible. And when you start a conversation or debate about a certain topic with other people, please do not offend them just because you don't like their opinions. You're reading Venerated Venomous Consort. This manga has been translated by Updating. Author(s): Mu Danfeng, 穆丹枫. Already has 2692 views. Current Time is 24-Apr-2019 00:00:34 AM.